Have you or a loved one recently been convicted of a Driving Under the Influence (DUI) offense? People often learn the hard way that a DUI can have a major impact on one’s life in a variety of ways. It’s important to have a criminal defense attorney to limit the amount of damage a DUI has on your personal and professional lives. 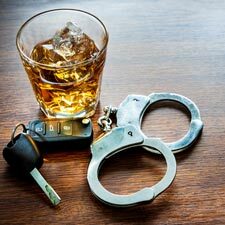 In this blog post, we go over some of the consequences of a DUI conviction and how they impact your life. Depending on how many other DUIs you have on record, your driver’s license can be suspended for six months or even indefinitely. To get your driver’s license back, you’ll need to hire an experienced DUI lawyer so you can gather the evidence you need to prove your sobriety. You may be required to take a DUI class or counseling before you are able to have your driver’s license reinstated. Americans depend on their cars in order to drive to work, run errands, or pick up their kids from school. However, a DUI conviction means you are unable to drive. For help with driver’s license restoration after a DUI, we recommend hiring a criminal defense lawyer. If this is your first DUI offense, you may face up to 90 days in jail. However, if you have gotten three or more drunk driving charges within a 10-year period, you may spend as much as 5 years in jail. Level 3 drunk driving charges are considered felonies and carry heavier sentences than you would give a first-time offender. A Lansing attorney will be able to help you get the best deal so you can avoid extensive jail time. Depending on your occupation, a DUI often leads to trouble in the workplace. People who have committed a DUI offense often have to miss work for their court dates. A DUI can even cause you to lose your job. Certain employment contracts allow your employer to fire you for being convicted of a crime. If you are searching for a job, a DUI conviction rules out many career opportunities that may have been available to you before, such as being a bus driver. During your job hunt, you may be required to explain your DUI on job applications or during interviews. If the employer runs a background check, your DUI conviction could convince them not to hire you. DUI consequences include having a permanent criminal record. Any company that conducts a background check will be able to see your mug shot and fingerprints on file from the DUI. For this reason, a DUI conviction can make it difficult to get insurance, loans from the bank, or even housing. If you didn’t lose car insurance coverage after a DUI, your rates will be much higher. The Lansing criminal defense attorneys at Foster & Harmon PC are dedicated to helping clients recover after being charged with DUI. 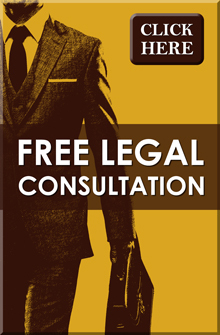 If you need legal representation for your drunk driving case, give us a call at (517) 337-4600.